Welcome to the 2019 Pool Season. All positions for Lifeguards for the 2019 season have been filled... Please contact Cheryl McClure if you are interested in future positions at the pool. We now have a Pool Facebook page for Members Only - FMC Sportsmans Club Pool Facebook page. Send a friend requests for the latest in weather, pool conditions and the latest in club activities. 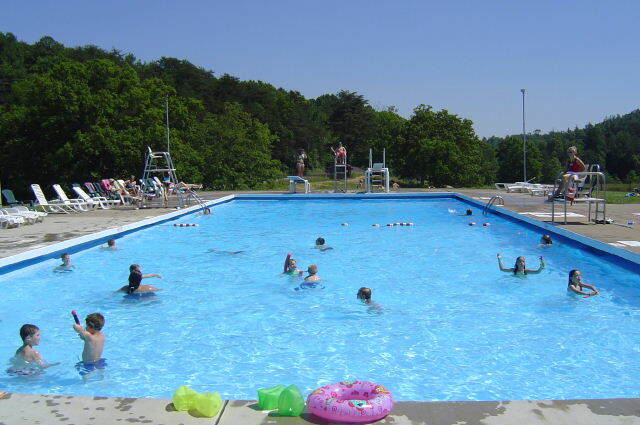 Pool Update: NO PRIVATE POOL PARTIES OR POOL RENTALS will be available this year. You will need to show your membership card to the guard on duty along with a photo ID as you sign in. Some members were sharing their cards with non-members. Please follow the rules so we can keep our membership dues at the club as low as possible. Membership cards will be offered at the pool office this year. If you do not have a card you will need to know your membership number and have your membership verified before entry to the pool. Free = Grandchildren of Members 15 and under. Grandparents must accompany grandchildren at times while on the club property. Members must accompany guest while on club property. Attention All Members - No Food, Drink, Gum or Tobacco Products, including baby food or formula in the Pool Area = These rules are STRICTLY ENFORCED. Failure to follow these rules may result in Membership Termination. Please view the pool rules for more info. For your safety please observe the no jumping in the shallow end where marked off by white paint. Click to view rules, click back button to return to the web site. Sign ups start 11-15 June from 6-7pm at the pool. Must be at least 40" tall and able to stand alone in the shallow end of big pool and follow all directions from the life guards. Click here to view the Concession Stand Menu, click back button to return to the website. We now have ice available to our membership. Check with the life guard to purchase ice. Pool Update: NO PRIVATE POOL PARTIES will be available this year.